With the announced retirement of Bishop Hurkmans it is a good time to look back an ahead. In his letter announcing his retirement, the bishop already indicated that a new period was beginning, a time of transition followed by a new bishop at the helm of the numerically largest diocese of the Netherlands. The Hurkmans era, to call it that, began in 1998, when he was appointed on the same day that his predecessor, Bishop Jan ter Schure, retired. Unlike the latter, who had the misfortune to have been appointed when the polarisation between modernists and orthodox (in which group the bishop could be grouped) was at a final high point, Bishop Hurkmans was and is considered an altogether kinder and approachable man. 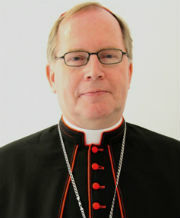 That does not mean that he avoided making the difficult decisions, and especially following the appointment of two auxiliary bishops in 2010 (later whittled down to one, as Bishop Liesen was soon appointed to Breda), there were several major cases in which the diocese stood firm against modernists trends. But these things never came easy to him. The general idea that I have, and I am not alone, I believe, is that Bishop Hurkmans was altogether too kind to be able to carry the burden of being bishop. He accepted it, trusting in the Holy Spirit to help him – as reflected in his episcopal motto “In Virtute Spiritu Sancti” – but it did not always gave him joy. That said, while he is generally considered a kind bishop, there remain some who consider him strict and aloof, in both the modernists and orthodox camps. As bishop, you rarely win. In 2011 he took a first medical leave for unspecified health reasons, and a second one began in 2014. While he regained some of his strengths, as he indicates in his letter, it was not enough. ^Bishop Hurkmans gives the homily during Mass at Santa Maria dell’Anima in Rome, during the 2013 Ad Limina visit. In his final years as bishop, Msgr. Hurkmans held the Marriage & Family portfolio in the Bishops’ Conference. It is perhaps striking that he was not elected by the other bishops to attend the upcoming Synod of Bishops assembly on that same topic – Cardinal Eijk will go, with Bishop Liesen as a substitute. Before a reshuffle in responsibilities in the conference, Bishop Hurkmans held the Liturgy portfolio, and as such was involved with a new translation of the Roman Missal, the publication of which is still in the future. Bishop Hurkmans was also the Grand Prior of the Equestrian Order of the Holy Sepulchre of Jerusalem in the Netherlands, and as such he invested new knights and ladies at the cathedral in Groningen in 2012. At 71, Bishop Hurkmans is young to retire, as 75 is the mandatory age for bishops to do so. Still, it is not unprecedented when we look at the bishops of ‘s Hertogenbosch since the latter half of the 20th century. 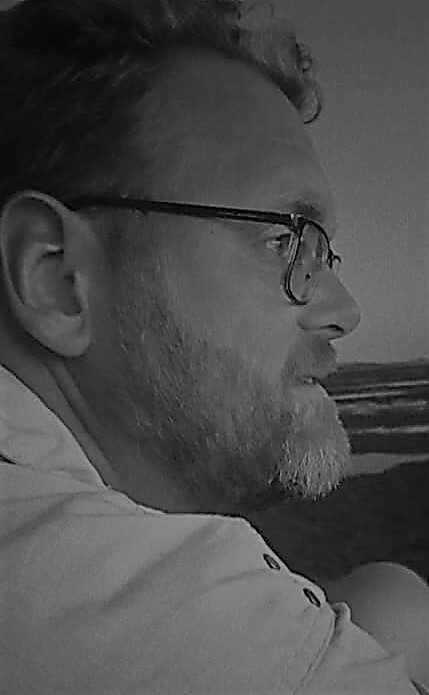 Bishop Johannes Bluyssen retired, also for health reasons, in 1984 at the age of 57. Bishop Bekkers died in office in 1966 at the age of 58. Bishop Willem Mutsaerts, related to the current auxiliary bishop, retired in 1960, also aged 71. As for Bishop Hurkmans, may his retirement be a restful one. Looking at the future, the inevitable question is, who’s next? Who will be the 10th bishop of ‘s Hertogenbosch? Guessing is risky, but there are some likely candidates anyway. 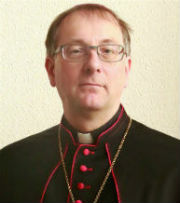 In my opinion, one of the likeliest candidates is Bishop Rob Mutsaerts (pictured), currently auxiliary bishop of ‘s Hertogenbosch. He has been taking over a number of duties from Bishop Hurkmans during the latter’s absence, and he is at home in the diocese. Speaking against him is his sometimes blunt approach to problems, especially when Catholic doctrine is being disregarded, which does not always sit well with priests and faithful alike (although others, including myself, appreciate him for his clarity and orthodoxy. Other possible options are one of the other auxiliary bishops in the Netherlands: Bishop Hendriks of Haarlem-Amsterdam, Bishop Hoogenboom and Woorts of Utrecht and Bishop de Jong of Roermond. I don’t really see that happening, though, with the sole exception of Bishop de Jong. He is southerner, albeit from Limburg, while the others are all westerners, and that does mean something in the culture of Brabant. Still, it has happened before. Anything’s possible, especially under Pope Francis (and this will be his first Dutch appointment, and for new Nuncio Aldo Cavalli too). Diocesan priest and member of the cathedral chapter Father Cor Mennen once stated that he would not be opposed to a foreign bishop, provided he learn Dutch, if that means the bishop gets a good and orthodox one. I don’t see that happening just yet, though. And as for when we may hear the news of a new bishop? Usually these things take a few months at most (although it has taken 10 months once, between Bishops Bluyssen and Ter Schure). The summer holidays are over in Rome, so proceedings should theoretically advance fairly quickly. A new bishops could be appointed and installed before Christmas then. The bishops today issued a letter in which they respond to the enthusiasm for a possible papal visit and the disappointment when it became clear that one was not forthcoming. This letter is certainly very welcome, especially considering all the speculations and accusations that were launched against Cardinal Eijk, who was said to have actually blocked the papal visit. But as I explained in my blog before, reality was quite different, and this letter touches upon that. There is great enthusiasm among the Dutch population for a papal visit, not only in our Church, but also among many others. The bishops of the Netherlands find the fact that so many are being touched and inspired by Pope Francis, and the way in which he is a follower of Christ, heartwarming. During their ad limina visit the bishops personally experienced the Pope’s compassion and are strengthened by his encouragement and his call to maintain hope. The option of a papal visit mobilised many. However, in January the Pope himself made it known that a visit to our country was, for the time being, not possible. That is why the bishops, in their first subsequent meeting, decided to not formally invite him. That an invitation was not forthcoming now, was a disappointment for many. But you may be assured that Cardinal Eijk and the other bishop would have gladly welcomed the Pope to the Netherlands. A civil initiative was launched to collect signatures to try and convince the Pope to come to the Netherlands this year anyway. The bishops find this very positive. But they have to inform the parishes that a visit is sadly not possible for now. Should the opportunity arise in the future to issue an invitation, the bishops will certainly discuss this again. In the meantime we hope that the enthusiasm for Pope Francis and his witness of the Gospel in words and action will continue to bear fruit in the Church and the world. We pray that this will lead to new and concrete choices for Christ and His commandment to love God and neighbour in word and deed. The only thing not addressed in this letter is the alleged preparation by Bishop Punt, but I wonder if that should be something, if it is true to begin with, that should be discussed publicly. The bishops are in one mind about this to the rest of the world, and any internal troubles should be, or already have been, dealt with in private. In the style of Jimmy Akin’s X points to know and share, here is my attempt at a clear overview of the facts surrounding a possible papal visit to the Netherlands and Cardinal Eijk’s alleged role in preventing it. There are actually two moments in time that we could call the starting point of the current rumours and debate. The first is the ad limina visit of the Dutch bishops that took place in the first week of December. The popularity of Pope Francis caused some to seriously consider the possibility of a papal visit to the Netherlands, and among these ‘some’ were bishops. While the possibility was not discussed with the Holy Father during the ad limina, the bishops did promise to discuss it during their plenary meeting in January. The second moment was earlier this week, when daily newspaper Trouw published an article accusing Cardinal Wim Eijk, archbishop of Utrecht and president of the Bishops’ Conference, of having vetoed a papal visit. 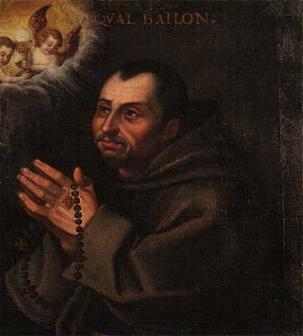 He was said to have told the other bishops that he and the Pope had decided it was not going to happen. The bishops soon made it be known that this was not exactly what happened. It was in fact the Pope alone who had to inform Cardinal Eijk that he did not see a chance for a visit to the Netherlands in the near future. Visits to other countries and the reform of the Roman Curia were cited as reasons. Cardinal Eijk later informed those who asked that Pope Francis remained as welcome as ever. Sadly not. While the Trouw article was picked up by news outlets, both local and abroad, the correction from the bishops was not. Many assumed that Cardinal Eijk was the one who blocked the visit, and even among those who were aware of the correction, there were some who assumed this was damage control and that it really wasn’t the Pope who didn’t want to come, but Cardinal Eijk coming up with reasons not to host him. I have been coming across plenty of ill feelings towards the cardinal, generally all based on the incorrect reporting in Trouw and other media outlets. Are there any other sources backing up Cardinal Eijk? There is one important one: Father Federico Lombardi, SJ, the press chief of the Vatican. Dutch journalist Andrea Vreede, who lives and works in Rome, today contacted him to ask if a papal visit to the Netherlands was really not an option, and if the Pope had received an invitation which could then have been blocked by Cardinal Eijk. Fr. Lombardi said that Pope Francis had never accepted an invitation to visit the Netherlands and that there was no basis for a one-day visit on the 31st of May. The silence of the other bishops is also an indicator that things happened as is said. In the past some bishops did not hesitate to disagree with Cardinal Eijk. What’s the deal with the one-day visit? Here the person of Bishop Jos Punt of Haarlem-Amsterdam comes in. While there are no official confirmations of this, it is said that he had scheduled a one-day visit of Pope Francis to Amsterdam. Logistics, finances, security, even a script are all said to have been ready. Bishop Punt, together with his auxiliary Bishop Jan Hendriks, visited the Pope last September. During the ad limina visit, Bishop Punt said that Pope Francis was interested in visiting the Netherlands. It may be assumed that the Holy Father said so during that earlier visit. Although there are no solid sources for this, some say that Bishop Punt, once returned home, went about planning said one-day visit, which may have included a visit to Amsterdam’s St. Nicholas Basilica, a charity project in the capital and a prayer service in the Amsterdam Arena football stadium. On that day the devotees of Our Lady of All Nations, the controversial name of Our Lady as she is said to have appeared in Amsterdam in the middle of the 20th century, are having their annual day of meeting and prayer. Bishop Punt is a known adherent of this devotion, and has approved it in his capacity as ordinary of the diocese. Some now state that Bishop Punt wanted to combine this event, taking place in the aforementioned Basilica of St. Nicholas, with the papal visit and so promote the devotion worldwide. As before, these are assumptions made by some, and there is no proof that this is actually true. There is a clear split between those who have read and accept the official correction of the bishops and therefore hold that Cardinal Eijk acted perfectly reasonable, and those who are prone to some conspiracy theories in this matter, believing that Cardinal Eijk did veto the visit and acted out of spite, fear or simple lust for power. Some add the Our Lady of All Nations story and hold that Bishop Punt was cut off by the cardinal. I am quite sure that things are indeed as the bishops say. There may have been some confusion because of Bishop Punt’s enthusiasm for a visit (who knows, he may well have been thinking about and exploring some options) and Cardinal Eijk’s personality (when he has said something it remains said, and when he maintains he has been clear enough he will not be easily convinced of explaining himself further). Cardinal Eijk will not have been telling the Pope to stay away, but he will have been honest about any reservations he may have had (I explored some possible reservations in my previous post on this topic). Bishop Punt may well be disappointed, as he has indicated, but I have not seen any evidence of a falling out between him and the cardinal. The bishop has also not issued a formal invitation, as we have learned via Fr. Lombardi, but he has probably presented some idea for a visit to the rest of the bishops’ conference. Cardinal Eijk may have taken that suggestion with him to Rome and discussed it with Pope Francis. Whatever the facts, it is the Holy Father who ultimately said that there was no time in the foreseeable future. And there is no reason to assume anything else, really. According to Trouw, preparations for a hypothetical papal visit to the Netherlands was already well-advanced when Cardinal Wim Eijk, as president of the Bishops’ Conference, vetoed the visit, doing so, he explained, after discussing the plans with the Pope on 10 January. It seems amazing that the preparation was already so well underway: security was planned, money was available and there was even a script for the visit. While the idea was floated by Bishop Jos Punt several months ago, rumours did not become serious until the ad limina visit two months ago, and plans weren’t even officially discussed until the January meeting of the conference. For there to be a script ready this soon seems incredible. The article in Trouw states that Bishop Punt presented a full schedule for a one-day papal visit to Amsterdam during the plenary meeting in autumn. By the looks of it, this seems more like the trademark enthusiasm of Bishop Punt. A papal visit to his diocese would have been unlikely without the involvement of the rest of the conference. It would have been a national event anyway. As president of the Bishops’ Conference, Cardinal Eijk is fully within his right to veto such plans, of course. And while the Trouw article suggests that “inside sources” confimr that no papal visit was discussed during Cardinal Eijk’s meeting with Pope Francis, the bishops’ spokeswoman rightly states that such meetings are confidential: we never get to hear what the Pope discusses with those he meets, especially not when they’re cardinals. Pope and cardinals can decide for themselves what they want to share of their conversation, and Cardinal Eijk has decided to keep it at this. Is it a shame that Pope Francis isn’t visiting? Of course. It would have been wonderful. It would also have been expensive, and I can understand that that would have kept the Pope at home, even though the Netherlands is, in some sense, a peripheral area in the Catholic world. And I don’t think that the bishops are ready to manage this… Pope Francis’ visit to the Netherlands, even if it were for just one day, would be making headlines for weeks. Considering the media’s opinion and track record of reporting on Catholic affairs, there would have been an enormous amount of misrepresentation of the Church and the faith, which would have to be corrected by the bishops and the faithful (who need to do this much more often, anyway). In that sense, I am glad that the Pope is not coming over. And then there is the financial side. The bishops’ conference is cutting costs on all sides, and a papal visit is not going to be financed completely by the Holy See. While housing Pope Francis, with his sober tastes, would not be a problem, using the Amsterdam Arena football stadium for a prayer service, the logistics, the security, and all sorts of additional costs would be irresponsibly high at this moment. Logistics, finances and communication skills would prohibit this visit, in my opinion. While Pope Francis would be enthusiastically received by all layers of society (imagine the circus when politicians all want to be involved…), I fear the effects of the visit would not last very long. It’s a sad decision, but a good one, I think. Enthusiasm for a visit is simply not enough to make it happen. On 10 January last, Cardinal Eijk met with Pope Francis in a private audience. The newspaper Trouw today misrepresents what both discussed during the meeting. Trouw states that the Pope and Cardinal Eijk decided jointly that a visit to the Netherlands would not take place. Cardinal Eijk is said to have also stated that in the plenary meeting of the Bishops’ Conference. That is completely besides the truth. During the ad limina visit Cardinal Eijk replied to reporters’ questions that Pope Francis is welcome in the Netherlands. On 10 January he probed Pope Francis about the possibility of a papal visit to our country. The Pope himself indicated that he did not see a chance to do so in the foreseeable future. He is already planning to visit the Holy Land and several other countries. There is therefore no opportunity to visit the Netherlands soon. Added to that are the Pope’s plans to reorganise the Roman Curia. As is known he has established a commission of eight cardinals from all continents who regularly meet in Rome to advise him in that matter. In the coming years this reorganisation will require much time and attention from the Pope. Therefore he has little opportunity to conduct travels abroad. Trouw claims that the spokesperson of the Bishops’ Conference has said that Cardinal Eijk informed the Bishops’ Conference that the Holy Father and he had decided that the visit would not take place. In her e-mail to Trouw reporter Emiel Hakkenes, of Friday 31 January last, the spokesperson of the Bishops’ Conference made it known that the Pope decided himself not to visit the Netherlands (for now). A short statement from the bishops today: Pope Francis will not be visiting the Netherlands quite yet. After Bishop Jos Punt spoke about the Holy Father being interested when presented with the idea, there was quite some speculation about the feasibility and even desirability of a papal visit to this most secularised bit of Europe, and December’s ad limina visit only raised the enthusiasm, even among the other bishops. But the Pope’s agenda and priorities don’t allow for such a visit just yet, the bishops said today. They had discussed the plans in their plenary meeting of this month, and this discussion had even already involved the Pope himself, so the statement says. Pope Francis remains as welcome as ever, the bishops assured. In 2015 it will be 30 years since we last had a Pope visiting, in a very charged and tense atmosphere, which even led to Cardinal Simonis having police protection for the duration… Times have changed, and while such measures should not be required, a papal visit to the Netherlands will surely be something, in both a positive and a negative way. If it happens in the foreseeable future, we had better brace ourselves for quite the ride.